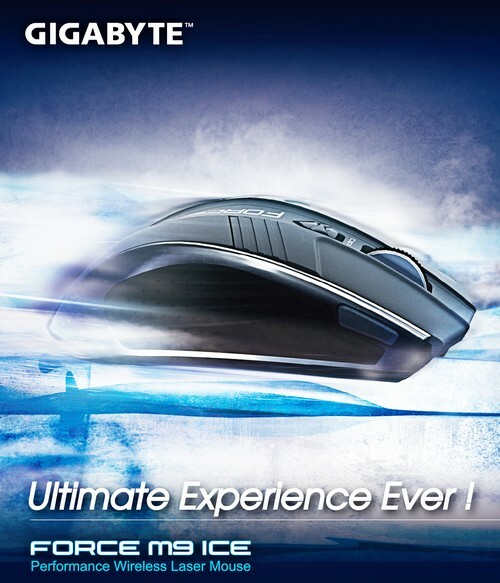 GIGABYTE ICE Technology™ - Experience Ultimate Pleasure of Gliding Mouse on Clear Ice! Taipei, Taiwan, 21 June, 2012 – Have you ever imagined to visit Arctic Circle, sipping wine at a bar made of ice, and use your laptop at the same time? Wouldn’t it be great if there is a mouse that can work perfectly on crystal clear surface, such as ice or glass? 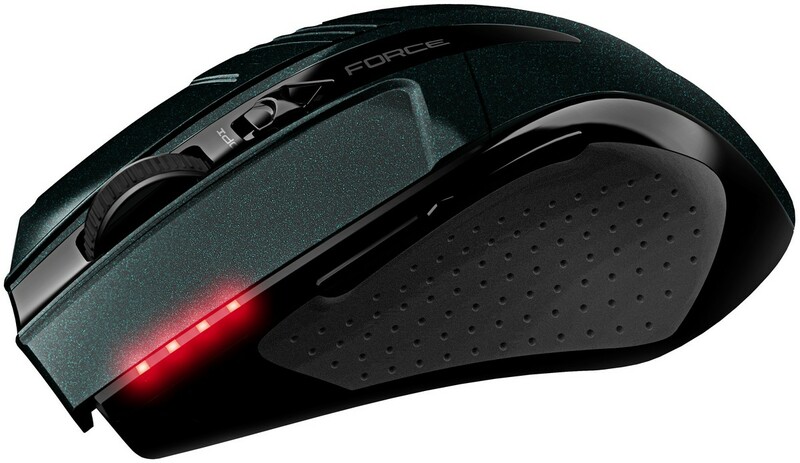 GIGABYTE understands your needs to use mouse on all kinds of surface, and we are proud to introduce to you GIGABYTE FORCE M9 ICE, Performance Wireless Laser Mouse. Equipped with cutting-edge GIGABYTE ICE Technology™, which is a kind of laser tracking system that can detect microscopic particles or scratches on crystal clear surface. 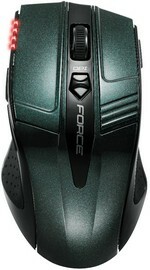 FORCE M9 ICE is possible to work on practically every surface, especially the transparent ones, like glass and ice. Its exceptionally great performance on common surface makes you want to take it wherever you go. No matter whether you’d like to use it on the sofa, or play Diablo 3 on glass table in your living room, you will be amazed by how great FORCE M9 ICE can achieve. There are other useful functions waiting to be discovered after using FORCE M9 ICE, such as GIGABYTE Free-Scrolling Technology™, which allows you to browse the files and webpage more effortlessly, and adjustable 4-stage DPI (800/ 1200/ 1600/ 2000). Get the first-hand feeling of the state-of-art design from inside-out yourself! 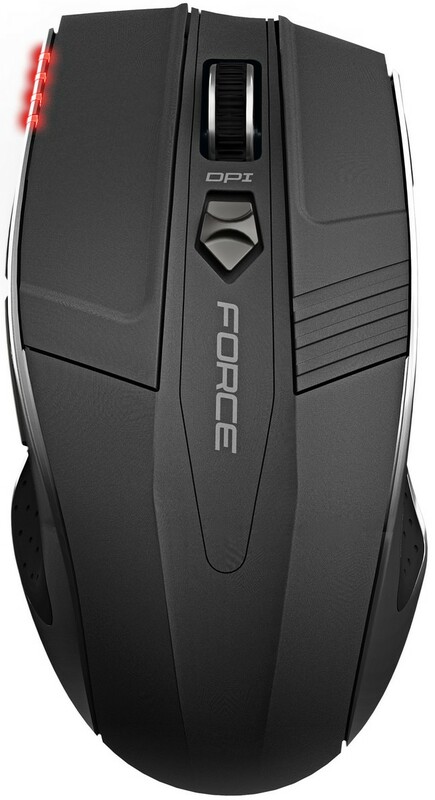 GIGABYTE FORCE M9 ICE brings the ultimate experience of smoothly gliding mouse on not just common surface, but virtually EVERY surface. It’s something that you can never miss! 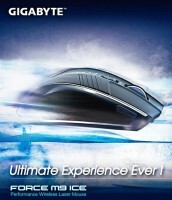 Meanwhile, GIGABYTE also releases another well-designed mouse, GIGABYTE FORCE M9 Long-Life Wireless Optical Mouse. With the same ergonomic design and comfortable grip as FORCE M9 ICE, it is equipped with GIGABYTE’s latest power-saving technology. GIGABYTE cares about the environment and is devoted to developing products according to the concept – marvelous products saving more energy. FORCE M9 is no doubt a great interpretation to it. With up-to-2-year battery life, the last thing you have to worry about is changing batteries all the time, and therefore, you can easily reduce the battery waste! In addition, it could be your best wireless pal at home and in the office when doing long-hour work, for its ergonomic design. Also, FORCE M9 is equipped with GIGABYTE Free-Scrolling Technology™, which allows you to browse the files and webpage more effortlessly. The state-of-art outlook and the ergonomic designs is something you should not miss. Come to experience the fierce mouse yourself! Long-lasting battery life – lasts up to 2 years!